Homeland Security is aiming at preventing criminal and terrorist attacks, reducing vulnerability of population and key assets and minimising damages and recovery time. STE provides solutions for detection and protection from a wide range of intentional threats both during prevention and crisis management phases for all application domains. to prevent illegal access to the National Territory of organised people with criminal or terrorist intents. 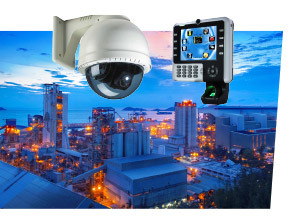 to protect Ports, Airports, Railway and Metro Stations, Motorways, Railways as well as to reduce vulnerability of assets such as Public Buildings, Power Plants, Dams, Pipelines and gas ducts, Electrical and TLC networks and Hospitals. Concerns the security of daily life and involves the analysis of any sign that could lead to a threat or criminal activity. STE provides solutions to support security forces during investigations as well as interpretation of visual information.